Horses are expensive to keep and with the recent economic recession, many horse owners are being forced to abandon their equine companions to horse shelters. The Associated Press reports that non-profits are now experiencing extensive financial strain due to this unfortunate trend of abandonment, as well as fewer donations. 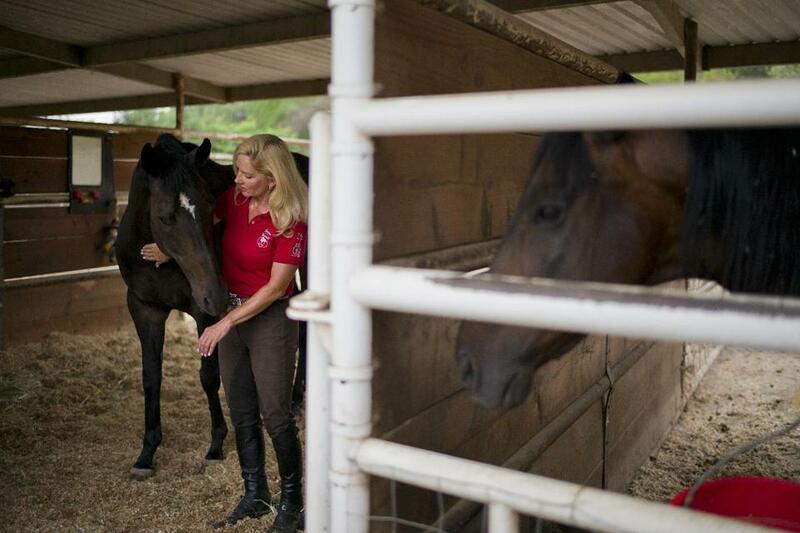 These problems appear to be consistent throughout the nation's nonprofit horse rescues. According to the article, donor contributions have dropped by up to 50% for nonprofits. These circumstances have made it difficult for shelters to provide care for their horses and made it more difficult to find them homes. In spite of these adversities, organizations like Red Bucket stand by their promise of taking in horses that need a home and ensuring that they have food and affection for the rest of their natural lives. It's not uncommon for dogs to care for one another- but it's rare that their bonds lead to as heartwarming a story as the friendship between Jonie and Chachi. 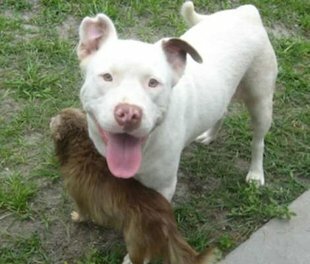 Jonie, a Lab-Pitbull mix, and Chachi, a Chihuahua, have made headlines this week with their incredible tale. Animal Control Officers were perplexed by the discovery of Jonie carrying an ill Chachi in an apparent search for help. After further examination, it was discovered that Chachi needed an emergency surgery to remove her infected eye. The act of love allowed Chachi to keep his life, albeit at the expense of her infected eye. But the good news keeps coming- as Vetstreet reports that both dogs were then adopted into a loving home. Type I diabetes is a life-threatening illness that can be difficult to treat. Blood sugar changes can become fatal and they can come quickly, requiring constant vigilance from those afflicted. So it's no wonder that a family with a diabetic daughter would be willing to pay any cost to keep her safe and healthy- and that's exactly what one family did when they made a $20,000 transaction to get their daughter a service dog capable of smelling potentially life-threatening blood sugar changes before they can become fatal. But according to LifeWithDogs.tv, the Barnes family met with an unpleasant reality when the dog they received was not adequately trained. The family, who had raised the money to pay for the dog with the help of their neighbors and friends, contacted the dog's trainer about the issue and were met with a questionable response. 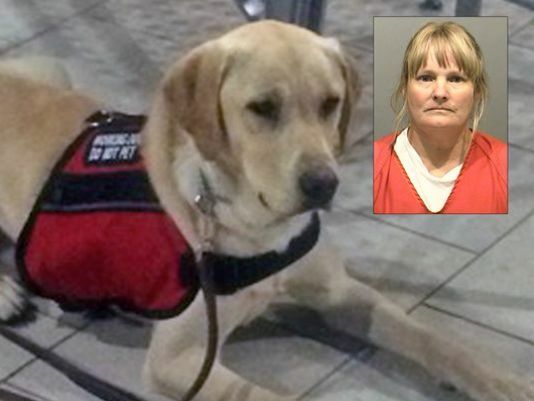 The trainer asked for the dog to be returned for additional training before then claiming that the dog had been abused and refusing to train it further or even return him to the family. Not long after, the family contacted the authorities, some of whom donated to the family's cause. Currently, the trainer is in custody, awaiting trial for fraud. There's nothing like a do-it-yourself project- and when the final result is a toy or accessory for your pet, the project is even more rewarding! But sometimes the best laid plans of cats and cat-ladies go awry and these DIY projects result in disappointment. At least that's what happened to Angie of CatLadyLand when she tried to make a comfy cat bed for her beloved feline friends. Angie posted instructions on how to construct a comfortable cat bed. Unfortunately, she appeared to have a harder times following instructions than giving them. 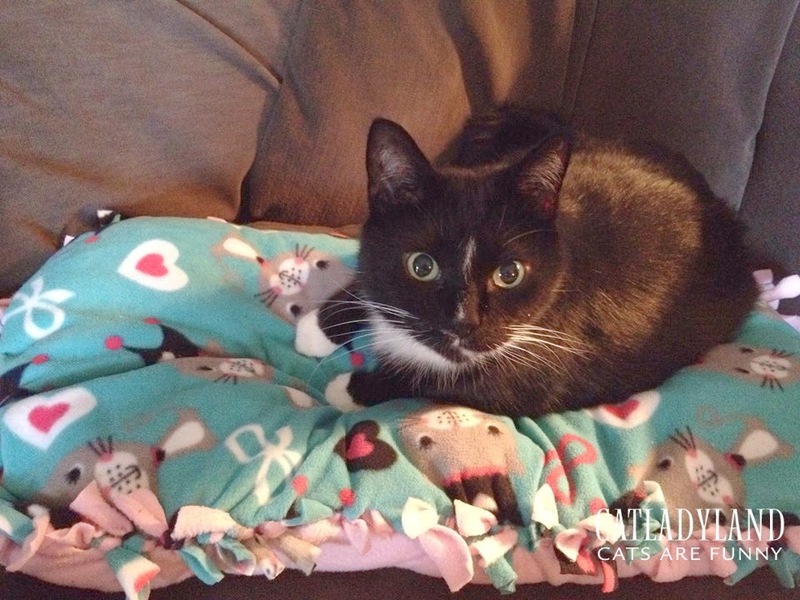 In a hilarious tongue-in-cheek post that details her own efforts in following the guide, she tells the tale of her misadventure and shows the cat bed in action. Thanks for the tips and the hilarious story Angie! We look forward to reading more hilarious cat stories and cat craft suggestions on your blog in the near-future!